Given the enormous range and variety of risks covered by the insurance profession, it is not surprising that there are several different kinds of insurers, each specialising in a particular kind of risk, market or client. These range from companies providing off-the-shelf insurance products to companies and individuals to those offering entirely bespoke services to cover unusual, specific or very large risks. Commercial or ‘corporate insurance’ companies enable commercial enterprises to operate effectively and to continue ‘business as usual’ even in the face of unwelcome events like fire or flood. 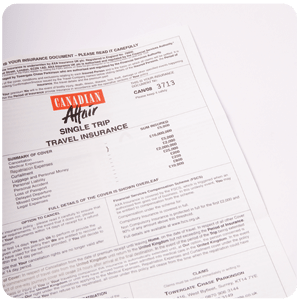 Personal or insurance protection allows individuals to minimise the impact of household and car accidents, theft and even cancelled holiday flights. For businesses, corporate insurance is crucial, enabling proprietors and managers to carry on despite suffering unexpected events – like natural disasters or cyber attacks. Insurance enables business people to protect property, equipment, stock, employees and the general public, who might suffer injury or damage as a result of commercial activities. Public, employers’ and product liability insurance – pays compensation when someone or something has been held legally liable for an adverse event such as an industrial injury. Professional indemnity insurance – to protect against claims of negligence in business, for example doctors, lawyers or other professionals. Business interruption – to enable commercial enterprises to protect their income at times when they are unable to trade. Commercial property – buildings and contents insurance for business and industrial premises. Commercial vehicles – motor insurance for fleets. In a constantly changing market, businesses require new kinds of insurance to protect against emerging risks – ranging from theft of identity to intellectual property rights. Latest developments have involved devising protection for companies against the effects of global climate change and the natural disasters that may occur as a result. Property and home insurance, to protect buildings and their contents, separately or together. Motor insurance, compulsory if you want to drive a vehicle in the UK. Travel insurance, protecting belongings and paying compensation if travel arrangements are disrupted. Consumer credit, for example, repaying your loan if you are ill or become unemployed. General insurance doesn’t include life insurance, which is dealt with by Life, Pensions and Investment Companies. As such, it is sometimes known as ‘non-life’ insurance.